And here is my first project with that board: https://youtu.be/vEATaGx28_8. I went on to design a model railroad, a rocket telemetry system, and most recently, a deviously difficult surface mount challenge. The Boarduino, while I paid for a kit, was free. It was Open Source. Lady Ada published the schematics and even the files necessary to reproduce the PCB. Fast forward a decade. 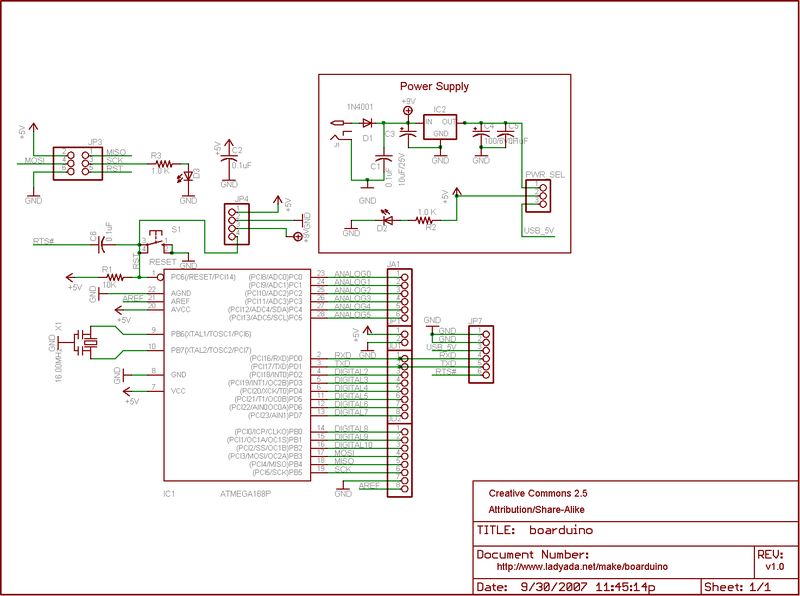 I can design a PCB. I can program an Attiny. My first published project was a programmer for microcontrollers. I published my designs for free. Why? Because Lady Ada did. That is how I learned. That is how I hope to teach. Wait! What? It is being used in a classroom: Good! But who is Josh Burker? Well, apparently it is someone who used my designs, and decided to sell a kit! For $275? Is that legal? Ethical? Moral? What I have been spending all my time doing this for? Oops. While I see a link to my Instructable on his webpage, I see nothing on his website to indicate the original design isn't his. The fact that the teacher using the project attributes it to him would further indicate this failure. Oh, and there is the noncommercial thing. I assume that means the $275 is a no-no. Let's take a moment of self-reflection. A drawing robot is not my idea. Did I attribute it? 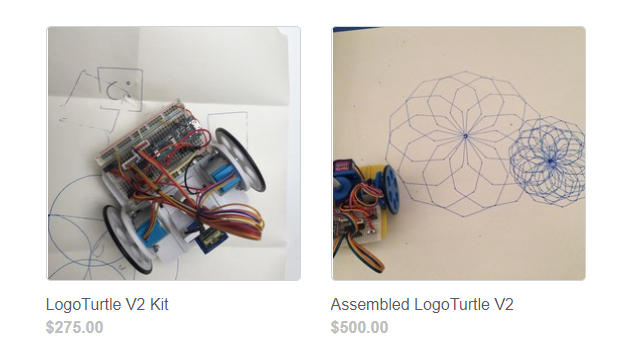 Here is the robot that came closest to what I wanted to do: http://mirobot.io. I don't have a laser cutter and shipping from England was prohibitive. I do have a 3D printer, so I guess you can see where this is going . . .
Mirobot claims to be Open Source, and has published repositories, but it is laser cut and Wifi controlled. Way past what I want to get into. I didn't use their design files or code. About all I used was the "pen in the center of the wheelbase" idea. The Turtle idea goes back even farther, to the 1960s! So, I'm mad. Certainly not at the teacher, who is trying to bring ideas and concepts to their classroom to the best of their ability and under a tight budget. But, someone is trying to profit off my my work. When I point out the CC License violations, I am told to "bugger off," and that "We redesigned the electronics: they use a completely different microcontroller and programming language." I will give him that using the Logo language takes the project one step closer to it's 1960 roots, and if that helps with the classroom curriculum, I will adapt that and attribute him. 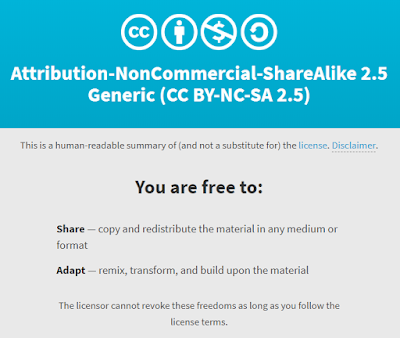 That is how Open Source works. 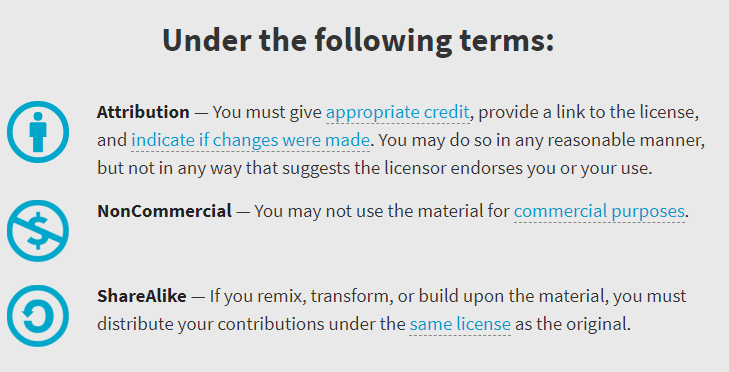 However, if he thinks that switching from an Adafruit Trinket Pro to an Adafruit Metro Mini constitutes "redesigning the the electronics", I would point out that they both use the Atmel ATmega328 microchip, and are both Open Source projects, by the same author, Adafruit. Wow, did that just circle around, or what? 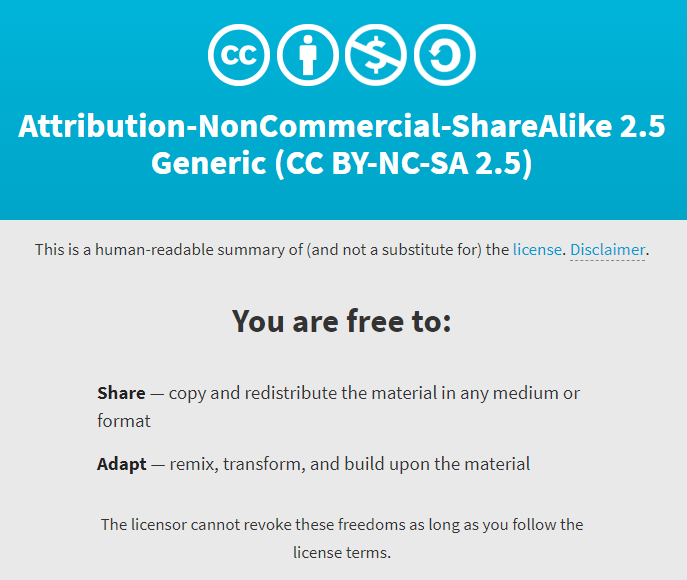 So, back to the original question, what does Open Source mean to me? I learn, I play, I share, and I may even try to sell you a kit, but if you try and profit off my work, I'll get mad. And do a blog post. And probably get blocked by @joshburker on Twitter. Wait, was I following him? No. Didn't think so. 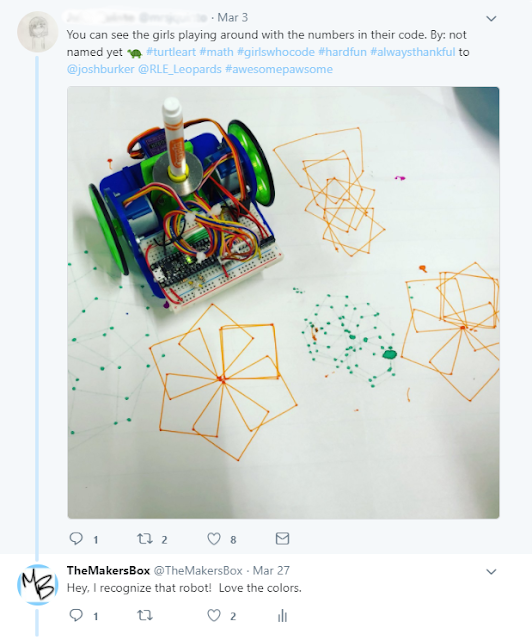 If you want to follow me, and be the first to see the next generation drawing robot, or what ever Open Source idea I attribute or contribute to next, you can follow me at @TheMakersBox on Twitter.